Creating the perfect skin care routine involves a ton of trial and error. Magazines, experts, and the beauty blogosphere all have different things to say about the best skin care practices and the holy grail products you should be using. But, everyone’s skin is different, so the products and procedures they’re preaching about might not always work for you. Should you be using essential oils instead of cleanser? Do you really need to put on 7 different creams at night? With all this information being thrown at you, sorting through it and finding what works best for you takes a lot of time. So, we’ve done a bit of the heavy lifting for you. We’ve compiled a list of skin care don’ts that you should avoid no matter your skin type. Just like it’s important to rest your mind and body, your skin craves rest and rejuvenation, as well. While we sleep, our skin repairs itself by producing collagen, which keeps your skin firm. A regular sleep pattern means that your skin repairs itself more quickly and shows fewer signs of aging. Turn off the Netflix at a reasonable hour and get your beauty rest. Stress is one the biggest skin care don’ts out there. We all hate it, but unfortunately, it’s hard to escape. Between work projects, home life, and trying to stay healthy, it can feel like you have a lot on your plate. Stress increases the skin’s oil production, so breakouts are a given. Plus, worrying leads to frowning, and frowning leads to fine lines and wrinkles. To keep your skin and mind healthy, introduce a few relaxing activities, like coloring or short walks, into your daily routine. Not moisturizing is perhaps the most important of our skin care don’ts to keep in mind. If you forget to apply moisturizer after a shower, you put yourself at risk for all sorts of skin conditions. Eczema? Probably. Dry skin? You bet. Protect your skin and be sure to lock in the hydration it craves throughout the day. Trying out all of the latest skin care products can be fun, but constantly changing your skin care routine irritates your skin. It takes your skin a while to fully adjust to your routine. If you’re constantly throwing new products into the mix, your skin can get a little wonky. Sticking to one routine and one set of items for as long as possible keeps your skin balanced and happy. And, if you’re looking to try out something new, be sure to test it in a small, inconspicuous area to see how your skin reacts. This one’s for all the coffee lovers out there. You all might be wondering how a love of caffeine makes our list of skin care don’ts, and you’re probably worried that you have to give it up completely. But, fear not. Too much caffeine (keyword: too much) may dry out skin because it’s a diuretic. We suggest cutting back a bit, especially if you suffer from dry skin, and drinking water throughout the day. We’re all aware of the benefits of washing your face, but there is such a thing as washing too much. Washing too frequently, especially with medicinal cleansers or harsh soaps, can strip away the top layers of your skin. We recommend sticking to only twice a day and washing with a gentle cloth. It doesn’t seem like much, but it’s enough to clean your face efficiently. Healthy skin is always a do! 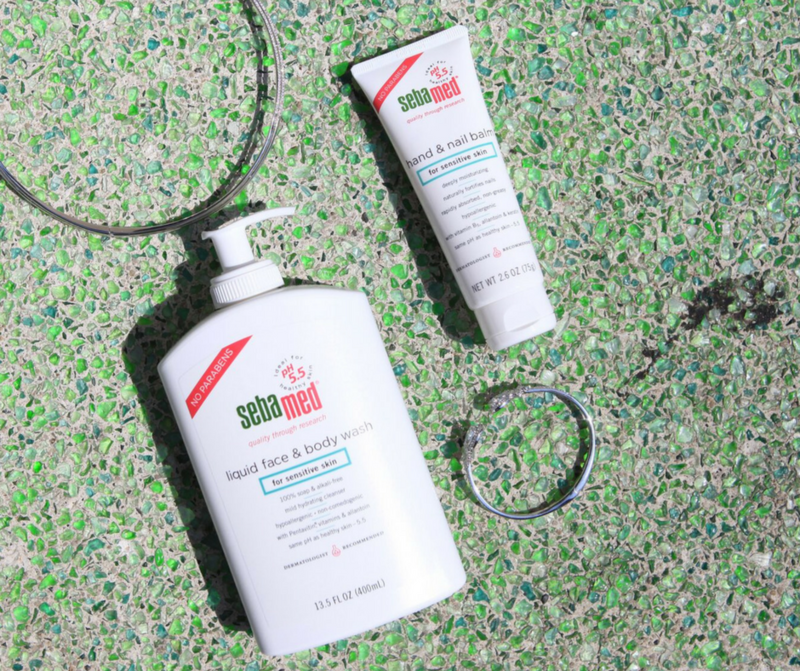 Sebamed’s wide range of cleansers, creams, and lotions help you rebuild your skin barrier with every use, repairing the damage caused by skin care don’ts. Check us out here.